Hepatocellular carcinoma (HCC) is one of the fastest growing causes of cancer-related death in the USA. Studies that investigated the impact of HCC therapeutic delays are limited to single centers, and no large-scale database research has been conducted. This study investigated the association of surgical delay and survival in HCC patients. Patients underwent local tumor destruction and hepatic resection for stages I–III HCC were identified from the 2004 to 2013 Commission on Cancer’s National Cancer Database. Surgical delay was defined as > 60 days from the date of diagnosis to surgery. Generalized linear-mixed model assessed the demographic and clinical factors associated with delay, and frailty Cox proportional hazard analysis examined the prognostic factors for overall survival. A total of 12,102 HCC patients met the eligibility criteria. Median wait time to surgery was 50 days (interquartile range, 29–86), and 4987 patients (41.2%) had surgical delay. Delayed patients demonstrated better 5-year survival for local tumor destruction (29.1 vs. 27.6%; P = .001) and resection (44.1 vs. 41.0%; P = .007). Risk-adjusted model indicated that delayed patients had a 7% decreased risk of death (HR, 0.93; 95% CI, 0.87–0.99; P = .027). Similar findings were also observed using other wait time cutoffs at 50, 70, 80, 90, and 100 days. 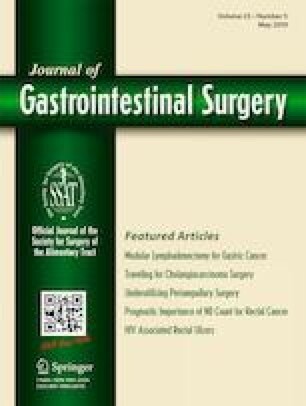 A plausible explanation of this finding may be case prioritization, in which patients with more severe and advanced disease who were at higher risk of death received earlier surgery, while patients with less-aggressive tumors were operated on later and received more comprehensive preoperative evaluation. The online version of this article ( https://doi.org/10.1007/s11605-018-3925-4) contains supplementary material, which is available to authorized users. KX contributed to the study design, conceptualization, statistical analysis, and drafted the original paper. KMMI was responsible for data acquisition. SWG and FR also contributed to the study design and conceptualization, and JL assisted with statistical analysis. FR, PF, HW, and KMMI critically reviewed and edited the paper for important intellectual content. SWG supervised research activities. The data used in the study are derived from a de-identified NCDB file. The American College of Surgeons and the Commission on Cancer have not verified and are not responsible for the analytic or statistical methodology employed, or the conclusions drawn from these data by the investigator. The study was exempted from review by the University of Nebraska Medical Center Institutional Review Board. U.S. Cancer Statistics Working Group. United States Cancer Statistics: 1999–2014 Incidence and Mortality Web-based Report. Atlanta: U.S. Department of Health and Human Services, Centers for Disease Control and Prevention and National Cancer Institute. 2017. Available at: www.cdc.gov/uscs. Accessed 22 December 2017.